If you are a professional house stager, then you are well aware of the kind of money you can make in this business. Regardless of how long you have been in the home redecorating business, you may find yourself looking for some new and different ideas. At Decorate-Redecorate, you have your choice of several books that may be just what you are looking for. There are also a lot of other tools available that can make your house staging business run smoother and more productively. For example, our free bi-monthly newsletter is chock full of great decorating tips, new product announcements and notices of special sales. 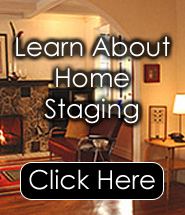 But if you are looking for something a little more in-depth, then you will find loads of house staging ideas in the wonderful eBooks we offer. If you like to watch the various programs offered on television that show a house stager turning a house looking like a sow’s ear into a silk purse, and you’ve been thinking to yourself that you would like to do that too, then you won’t find a better place for comprehensive, easy to understand courses that will teach you everything you need to know about upgrading a home. You don’t have to spend thousands of dollars and four years to get a degree in interior decorating. These courses can be learned in a week or less and are so affordable that you will be amazed. Also, certification is offered for those who are interested. Just because these courses and books are nicely priced does not mean the content is lacking. These resources are packed with important information that will teach you what you need to learn. There is no useless information, nothing but lean-muscled details that will get you moving quickly towards becoming the best professional you can be. Take a look at all of the testimonials from satisfied customers who have gone on to create their own businesses. There are also plenty of good words from people who were already in the business and have used the courses or materials available to sharpen their skills, solve problems, or take their company to the next level. So if you are looking for house staging ideas, or just need to brush up on some interesting techniques, managing, or marketing skills, be sure to check out www.decorate-redecorate.com today. The courses, books, and tools offered are sure to please, and they will also fit your budget. Why pay more? It just does not make sense when you can find the best information right here.